For me, Pinterest and blogs are great sources of fashion inspiration, except for when it comes to workwear. I've always worked in government or non-profit offices with a business casual dress code, yet most of the workwear photos I see online are from bloggers who don't work 9-5s and can't relate to what the average woman can actually show up to the office wearing. Sorry, but I can't wear jeans, 4 inch stilettos, leather clothing, or sleeveless shirts to work haha! That, or it's targeted for people who work in finance in big cities and wear business formal, or in fashion where they can get away with some over the top outfits. OR it's the same neutral outfits over and over again. OR it reminds me of Season 1 Pam from The Office. I'm just about to start a new job, so I've been looking at a lot of clothing online to get ideas for work outfits. I'm trying to strike a balance between professional but also fashionable and true to my style. Two years ago I did a blog post on outfits for internships (back when I was a student). Honestly, my work style hasn't changed much since then - I would still wear most of the pieces that I included in that post. I thought it would be fun to do an updated post with items that are currently available online and in store. Please let me know if you'd like to see posts similar to this in the future! Note: I understand that some of these items are pricy. I wouldn't buy the majority of these items full-priced! If it's from Banana Republic, Gap, or J.Crew, wait for it to go on sale. 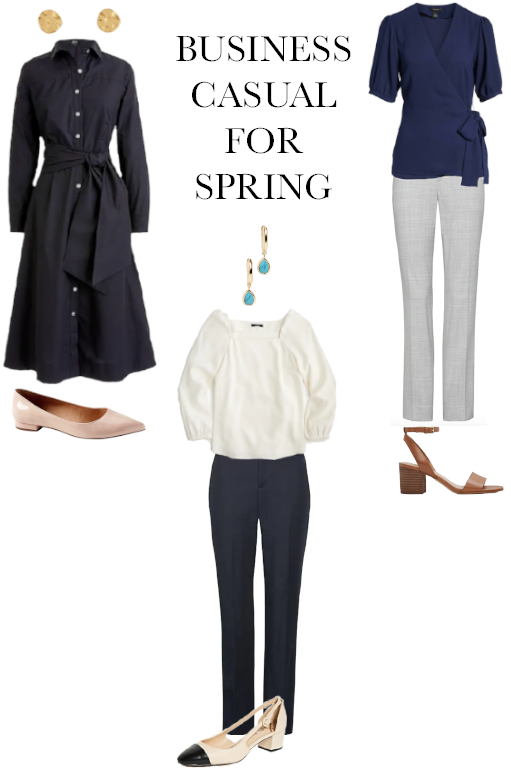 I didn't include anything from H&M or Old Navy because I find that work clothing from these stores lasts for about a season and then I end up having to repurchase the item (the same can be said for some of my Gap purchases). If you have a limited budget, look for items on sale and buy neutral colours that you can mix and match. That way you can get away with buying less items. A work wardrobe is something that you can build up over time, so don't feel the need to buy everything all at once. Shoes - While I love heels, the majority of women in my office don't wear them on a daily basis. However, sometimes I feel like I need heels to "balance" an outfit, especially if I'm wearing cropped pants. I just bought these heeled sandals from Aldo, which are very similar to a style carried by J.Crew Factory, also linked below. They're perfect for work because they have a low, chunky heel so they're comfortable and easy to walk in. I also love ballet flats, especially paired with dresses and skirts. Tops - Stick to neutral colours so that you can mix and match! If you already have a lot of neutral tops then you can mix things up with a fun floral print. I just purchased this cardigan from BR and it's made from the softest material! It will be great with blouses and dresses in an air-conditioned office. I can't use the widget to link anything from Aritzia, but this sleeveless top is great for layering under a cardigan or blazer. It would pair great with this lightweight open blazer, also from Aritzia. Skirts - LOFT has an amazing selection of business casual skirts with fun patterns and textures. I always get compliments when I wear mine! I like how they're on the longer side. Dresses - I LOVE shirt dresses because they're dressy enough for work, but can be worn casually on the weekends, to nice dinners etc. Very multipurpose. Pants - I just bought these pants in an olive colour, which don't seem to be available online. They will be great for pairing with all of my black, navy, and cream coloured blouses. I bought the regular length and they're cropped but not overly short on me. Banana Republic now lets you select the length of pant (short, regular, and tall)! As well, they have an amazing selection of different fits, so you're sure to find something that you like. I also bought these patterned pants. The material is more sturdy than the plain coloured pants in black and navy, which makes them feel dressier. Accessories - I pretty much wear pearl earrings, a delicate silver necklace, and simple silver rings every day, but sometimes I like to switch things up with a chunky gold necklace or dangly earrings. Today's post was going to be a detailed account about my experience applying and getting accepted to grad school. I wrote it a while ago and it's been sitting in my drafts folder. It was pretty funny to read back on all the stress I went through, knowing how things turned out in the end. 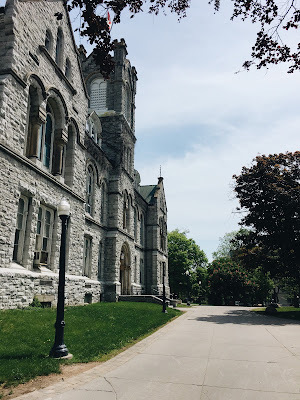 However, the recent news about the college admissions scam has been on my mind a lot. When the news first broke, I was furious to read about the bribing that occurred, especially because it involved a YouTuber that I used to watch. It's disgusting and almost laughable that people who have access to quality private school education, tutors, SAT prep courses etc. take the easy route. I thought back to all of the work that I put in during high school to boost my grades, get involved at school, and even retake a course when I didn't get the mark that I had hoped for. Although I didn't enjoy my undergrad program at first, I made the best of it and later fell in love with my classes and field of study. I put in a substantial amount of effort to get into grad school, so I could further my education and help improve my job prospects. By my junior year, I was studying for a large part of the day. When I wasn't in class, I was doing readings, writing detailed study notes for midterms, and strategizing how I would get an A+ on my next paper instead of an A. I also worked 5 full-time internships throughout my undergrad, which meant that I had to give up my summer vacations. When I was applying to grad school, I had my heart set on one school in particular. I knew that I would be disappointed if I didn't get in, but I genuinely thought that I had a good chance because my grades were competitive and I had lots of relevant work experience. And guess what? I DIDN'T GET IN! I was at the top of the waitlist but never received an acceptance. But everything worked out in the end. I survived. The world didn't stop spinning. I got into my second choice school, met a great group of friends, and did a practicum project that really interested me under the guidance of an amazing supervisor. Attending this school has not drastically changed my career prospects, if at all. If you don't get in to one of your top choice schools or programs, this does not take away from your accomplishments. You should feel proud of all of the honest hard work that you put in, the grades that you earned, the awards you won, and the sacrifices you made. 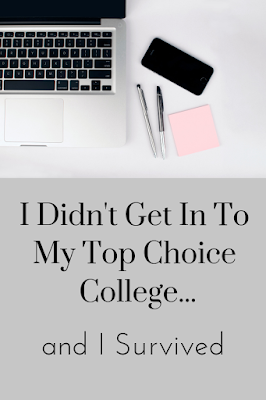 You can make the best of attending your second, third, or even fourth choice school or try transferring to your top choice at a later time. I promise you that it's not the end of the world. So, although this scandal angered me, it has left me me feeling very proud of my achievements and work ethic. I also feel very blessed to have attended one of the top universities in Canada and to have parents that supported me. I feel for the students who faced many additional barriers to get to where they are today and those that had to pass up opportunities. Lying and cheating may get you ahead in the short term, but I truly believe that karma will catch up in the end. I don't about you, but I'm sooo tired of winter. This winter in particular has been absolutely awful. There has been snowstorm after snowstorm and the temperatures have been frigid. The sidewalks and road in my neighbourhood are super icy, so I've been stuck inside job hunting. I can't wait for spring! especially miss running outside. For me, spring outfits have always been the hardest to style. It can be tricky to figure out what to wear where there are still piles of snow and puddles of water on the ground, but the temperature is nice and the weather is sunny. 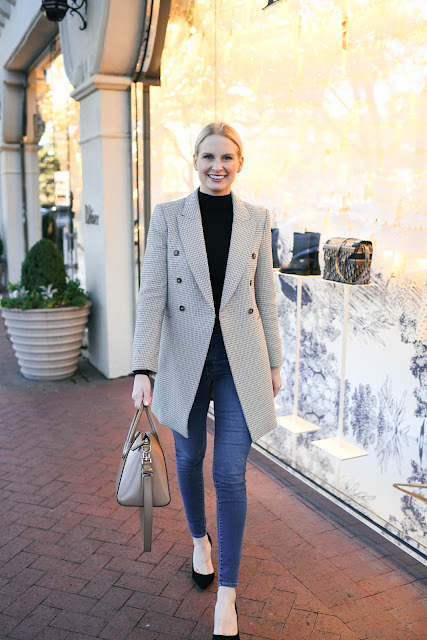 I've been looking online for some clothing inspiration - I'm thinking white jeans, light wash jeans, stripes, blouses, button-up shirts, fun sunglasses, ballet flats, white sneakers, and statement earrings. I just purchased this sweater from the Gap. I think it will go great with white jeans and tortoiseshell sunglasses. BTW - if I link something from Gap or Banana Republic, I would wait until it goes on sale. It's never worth it to pay full price from these stores! They are constantly having sales so check their website frequently so make sure that you're getting a good deal. Recently I shared how I've grown tired of a lot of bloggers and unfollowed a bunch on Instagram. Well today I'd like to focus on the positive and share the bloggers that I do love following. 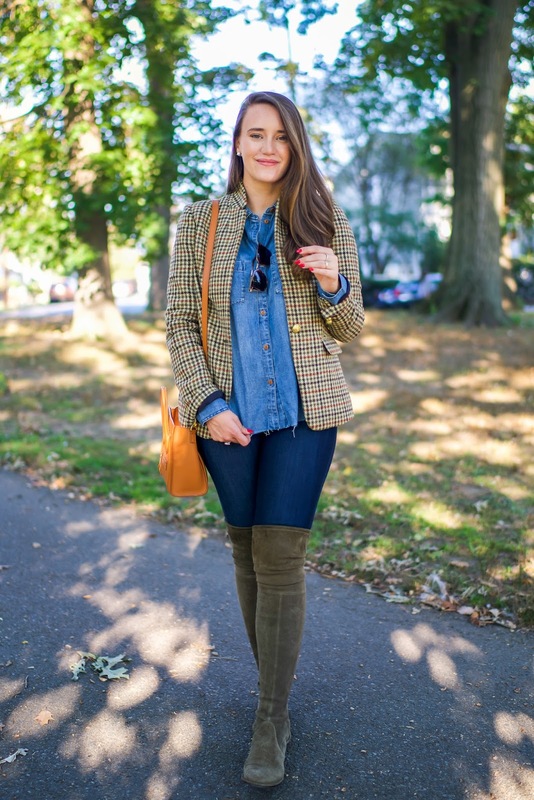 What all of these lovely ladies have in common is classic, chic style and outfits that are actually WEARABLE - dad shoes and tiny sunglasses are no where to be found on these blogs. Blogs have always been a huge source of inspiration for me. Although I'm Canadian, my family used to vacation in New England and I was always drawn to the classic American, preppy fashion. 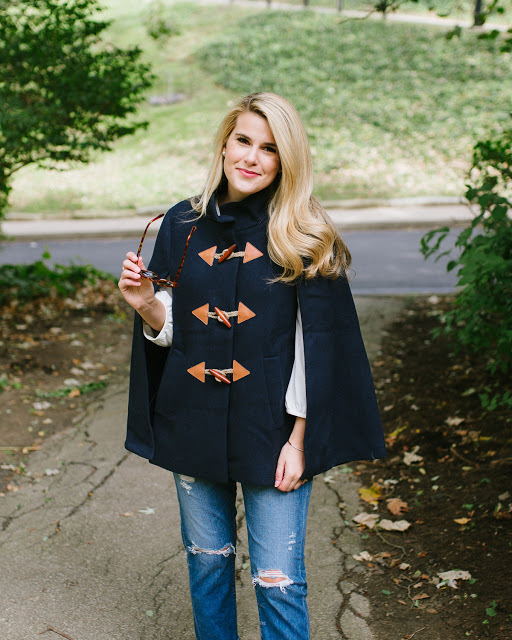 While I no longer identify my style as preppy, I'm still drawn to classic pieces but now with more of an elevated, chic spin. Check out these blogs below for my inspiration! I only discovered Merritt in the last year or so. I wish that I had found her blog sooner because she is my favourite blogger! She's always sharing OOTDs on her Instagram stories. I love how she's not afraid to rewear old items in her wardrobe (and why wouldn't you if you have a closet full of gorgeous designer pieces!). She keeps it real, shares quality advice, and is also hilarious. Bonus - she has a blog on Meghan Markle's style! I would describe Sydney's style as classic, preppy, and grown up. I will be copying a lot more of her business casual outfits for work now that I've graduated. I love that her blog has a mix of outfit shoots and more personal posts about her daily life in Pittsburg with iPhone photos. I love hearing about people's lives, as creepy as they may sound haha. Follow along as she builds a house and plans her wedding. Oh, and her dog is adorable! Kat is a super chic blogger who recently moved from NYC to LA. While I preferred her outfits in NYC, it's refreshing to follow a West Coast blogger and be exposed to outfits that are not typically my style, like long, flowy, floral dresses. I also love following along for her luxurious travels! My favourite thing about Krista's blog is her extensive product reviews. They're super helpful! She also does a lot of try-ons on Instagram. She has the best coats and designer accessories, and is not afraid to make her outfits pop with a bright item of clothing or shade of red lipstick. Krystal is known for her chic, everyday neutral outfits. Whenever I'm lacking inspiration, I check out her blog because a lot of her outfits are easily copiable using basic pieces that I already have in my closet. She's also a runner and posts lots of tips on working out, training etc. Stephanie is a stylist from Connecticut. Her style can be described as chic, feminine, casual, and classic. I love following her Instagram stories for her two cute boys and life in Connecticut (I secretly want to move to CT and become a mommy blogger ;) ). Follow Mackenzie's blog for gorgeous photos, especially travel photography! 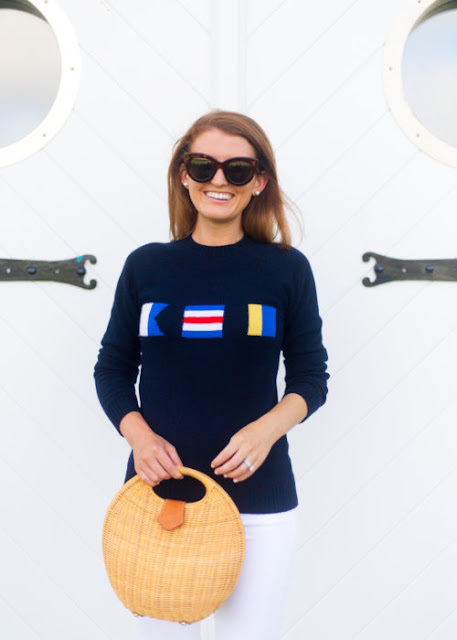 I love how Mackenzie stays true to her preppy style (think lots of navy, pink, camel, white, and cableknit). Do you follow any of these bloggers? Any recommendations on bloggers that I might like?